Tomorrow, March 1st, my HB 481 will be up for a vote in the Virginia Senate. HB 481 will stop Virginia localities from creating sanctuary cities for those jailed for other crimes who are in the U.S. illegally. Arlington County already has a policy in place to deny ICE detainer requests. A jail or regional detention center may not release an illegal alien from incarceration before the end of their term of incarceration – for whatever reason, when Immigration Customs Enforcement has made a timely request that the individual be turned over to ICE via an ICE agent or other federal law enforcement. The prisoner with an ICE detainer request may not be held past their regular release date except where required by state or federal law (up to 48 hours to comply with an ICE request). There is no penalty or compensation award in this bill. According to a 2014-15 FOI from ICE, there are eleven localities in VA that released 29 alien prisoners without complying with an ICE detainer request. Over half of those released had prior criminal histories. The purpose of HB 481 is to prevent what happened to Kate Steinle in California from happening in Virginia. On July 1, 2015, Kate Steinle and her dad were walking on a crowded waterfront in San Francisco. She was shot and killed by Juan Sanchez-Lopez, who was in America illegally, who had several prior felony convictions and who had previously been deported back to Mexico 5 times. The U.S. Immigration Customs Enforcement Agency had requested that San Francisco sheriff, Ross Mirkarimi detain Mr. Sanchez-Lopez for possible deportation. Sheriff Mirkarimi declined to honor the detainer request from ICE because the City of San Francisco has a policy of providing such individuals with that they call "sanctuary" from federal requests for deportation and because the sheriff did not recognize ICE detainers as legal documents. As an aside, Sheriff Mirkarimi was voted out of office in the November 2015 election. Please ask your Senator to support HB 481 tomorrow! To find out who your Senator is and get contact information click here. Thank you for your support! Copyright © 2016 Delegate Bob Marshall, All rights reserved. * CHAIRMAN'S REPORT - GOP PRIMARY MARCH 1, 2016 - If you are not sure where your polling place is, we have a "WHERE TO VOTE!" link at www.NorthernVirginiaGOP.com. If you are interested in Presidential candidate events running up to the primary, we have some listed below in the calendar and please check our events list at www.NorthernVirginiaGOP.com. 2/27 - Marco Rubio for President Meet And Greet & GOTV Kickoff w/Rep. Barbara Comstock - 12:30 PM, Rubio For President Leesburg Office, 107 South King Street, Leesburg. Call: (804) 404-5386. 2/27 - Prince William County GOP Committee Lincoln-Reagan Dinner & Presidential Straw Poll - 6 PM, Heritage Hunt Country Club, Gainesville. Call: (703) 680-7388. 2/28 - Marco Rubio for President Rally - Noon Doors Open, 1 PM Rally, Patrick Henry College, Gymnasium, 10 Patrick Henry Circle, Purcellville. Call: (804) 404-5386. 2/28 - Marco Rubio for President Rally - 2 PM Doors Open, 3 PM Rally, James River High School, Athletic Field, 3700 James River Road, Midlothian. Call: (804) 404-5386. 2/28 - Marco Rubio for President Rally - 5 PM Doors Open, 6 PM Rally, Virginia Beach Convention Center, 1000 19th Street, Virginia Beach. Call: (804) 404-5386. 2/28 - Marco Rubio for President Rally - 7:30 PM Doors Open, 8:30 PM Rally, Roanoke College, 221 College Lane, Salem. Call: (804) 404-5386. 2/29 - Loudoun County GOP Committee Meeting - 7 PM, Loudoun County Government Center, 1 Harrison Street, SE, Leesburg. Call: (703) 627-5272. 2/29 - Donald Trump for President Rally - 10 AM Doors Open, Noon Rally, Radford University, 801 East Main Street, Radford. Call: (646) 736-1779. 3/1 - Virginia Presidential Primary - 6 AM-7 PM, at regular polling places. Call: (804) 780-0111. 3/1 - John Kasich for President Rally - 11 AM Doors Open, Noon Rally, George Mason University Law School, Hazel Hall Atrium, 3301 Fairfax Drive, Arlington. Call: (614) 972-8580. 3/1 - Fauquier County GOP Committee Meeting - 7 PM, Warren Green Building, 10 Hotel Street, Warrenton. 3/2-3/5 - 43nd Annual Conservative Political Action Conference (CPAC) - Gaylord National Resort & Convention Center, 201 Waterfront Street, National Harbor, MD. Call: (202) 347-9388. 3/3 - Alexandria GOP Committee Meeting - 7:30 PM, Minnie Howard School, 3801 W. Braddock Road, Alexandria. Call: (571) 281-7042. 3/3 - Republican Presidential Candidates Debate - Detroit, MI. Aired on Fox News Channel. 3/5 - Prince William County GOP Convention - Forest Park Senior High School, 1571 Forest Park Drive, Woodbridge. For preregistration information and rules, call (703) 680-7388. 3/5 - Alexandria St. Patrick's Day Parade - Noon-2 PM, to march with the Alexandria GOP, please meet at Noon at the staging area, for details please call (703) 823-1801. 3/9 - Rep. Barbara Comstock's (VA-10) Campaign Kickoff w/Frank Wolf - 6:30 PM, Sterling Volunteer Fire Station, 46700 Middlefield Drive, Sterling. $25. Call: (571) 445-0062. 3/10 - Alexandria GOP Canvass - Minnie Howard School, 3801 W. Braddock Road, Alexandria. For Canvass details, call (571) 281-7042. 3/10 - Clarke County GOP Mass Meeting - Old Court House, 102 North Church Street, Berryville. For Mass Meeting details, call (540) 247-1501. 3/10 - Republican Presidential Candidates Debate - Miami, FL. Aired on CNN. 3/12 - Arlington County GOP Canvass - Arlington County GOP Committee HQ, 405 S. Glebe Road, Arlington. For Canvass details, call (703) 685-2488. 3/12 - Fairfax County GOP Convention - Waterford at Springfield, 6715 Commerce Street, Springfield. For preregistration information and rules, call (703) 766-4GOP. 3/16 - Republican Women of Clifton Meeting - 7-9 PM, Fairview Elementary School, 5815 Ox Road, Fairfax Station. 3/17 - Rep. Dave Brat's (VA-7) Fundraiser w/former Treasurer of the United States Bay Buchanan & Prince William County Chairman Corey Stewart - 7-8:30 PM, 14513 General Washington Drive, Woodbridge. $75. 3/17 - Falls Church City GOP Mass Meeting - American Legion Post 130, 400 North Oak Street, Falls Church. For Mass Meeting details, call (703) 672-1188. 3/19 - Loudoun County GOP Mass Meeting - Riverside High School, 19019 Upper Belmont Place, Leesburg. For Mass Meeting details, call (703) 627-5272. 3/21 - Republican Presidential Candidates Debate - Salt Lake City, UT. Details TBA. 4/2 - Fauquier County GOP Canvass - Warrenton Community Center, 430 East Shirley Avenue, Warrenton. For Canvass details, call (540) 729-0265. 4/2 - "Road to Richmond" Political Roundtable - 10:30-11:30 AM, NOVA GOP PAC Chairman James Parmelee debates Dems live on Fairfax Cox Cable Channel 10. Also airs tape delayed on other stations across NOVA. 4/2 - NOVA GOP TV Taping - for more information, call (703) 502-0161. 4/7 - Alexandria GOP Committee Meeting - 7:30 PM, Minnie Howard School, 3801 W. Braddock Road, Alexandria. Call: (571) 281-7042. 4/16 - 10th Congressional District Republican Convention - Stone Bridge High School, 43100 Hay Road, Ashburn. For preregistration information and rules, call (804) 780-0111. 4/20 - 68th Annual Shad Planking - Wakefield Sportsmen's Club, 12205 Brittles Mill Road, Wakefield, VA. Call: (800) 935-4004. 4/20 - Republican Women of Clifton Meeting - 7-9 PM, Fairview Elementary School, 5815 Ox Road, Fairfax Station. 4/22-4/24 - Virginia Federation of Republican Women Convention - McLean Hilton, 7920 Jones Branch Drive, McLean. Call: (703) 425-8534. 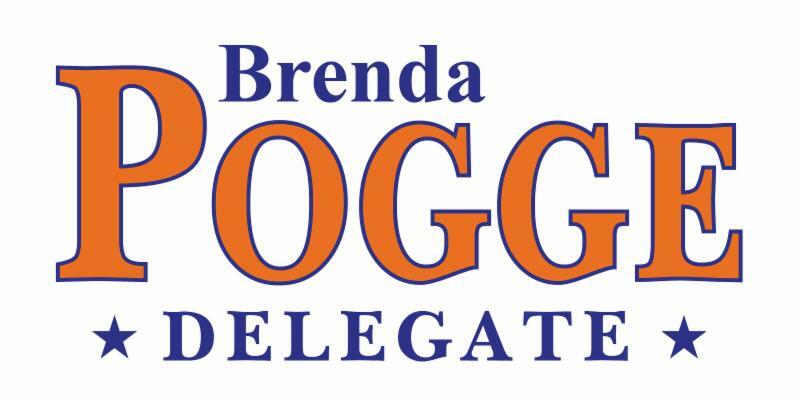 4/25 - Prince William County, Manassas & Manassas Park GOP Firehouse Primary to select the GOP nominee for Clerk of the Court, Sheriff, Chairman of the Board of Supervisors and District Supervisor for Coles, Occoquan and Woodbridge Districts - 10:00 AM-3 PM. For details on voting locations, call (703) 680-7388. 5/7 - 16th Annual NOVA GOP PAC Kentucky Derby Day Fundraiser - 5:30-7 PM, location TBA. Call: (703) 502-0161. During yesterday's floor session, both the House and Senate completed work on their respective budgets. I am often asked how certain programs receive state funding. The process begins with the Governor's proposed budget, which is introduced as a bill in both the House and the Senate. General Assembly members are then able to submit amendments to their chamber's respective budget bills. In the House of Delegates, the Appropriations Committee is tasked with considering House members' requests for budget amendments. The Appropriations Committee is divided into subcommittees that consider specific areas of the budget. These subcommittees then make recommendations as to which amendments should be adopted. Final recommendations were disclosed last Sunday, and the proposed amendments were posted on the budget website. What happens if a delegate doesn't like the budget proposed by the Appropriations Committee? General Assembly members are able to object to budget items and offer floor amendments. The House reviews these requests individually and can make changes to the proposed budget. We did so during yesterday's floor session. Our work is far from finished, though. Next week, the House will review the Senate budget while the Senate considers the House budget. Because there are differences between the two versions, each chamber will reject the other body's budget. Budget conferees are then appointed and tasked with resolving those differences. Expect an update next week! I recognize that your tax dollars support our state government, and I take seriously my commitment to fiscal conservativism. The House budget does not include any tax or fee increases. We deposit $605 million in the state's rainy day fund, thereby restoring the fund to 90% of its previous balance. This fund enables the state to weather economic downturns without resorting to tax increases. Compared to the budget proposed by Governor McAuliffe, the House budget reduces Virginia's borrowing by over $900 million over the next few years. Education remains a top priority for Virginians, and I am pleased that the House will send over $270 million back to local schools through the lottery program. This offers flexibility on the local level rather than a top-down mandate from Richmond. Additionally, the House budget designates $237.1 million to hold college tuition increases to three percent or less per year. Affording college remains a concern among my constituents, and I am pleased that this investment will increase access to higher education. Medicaid expansion is not included in the House budget. For years, we have argued that Virginia cannot afford expansion. Earlier this week, our concerns were validated when Kentucky disclosed a $611 million shortfall due largely to Medicaid expansion. Our approach to improving healthcare access includes a $28.9 million investment in the healthcare safety net for Virginia's most vulnerable citizens. Funds will be directed to substance abuse treatment and to Programs of Assertive Community Treatment (PACT), which provide care for patients with serious mental illnesses. Additionally, the budget funds 100 new Developmental Disability waiver slots to address the waiting list of people transitioning from institutional care to community based care. Earlier this week, the Senate considered my legislation designating the garter snake as Virginia's official reptile. 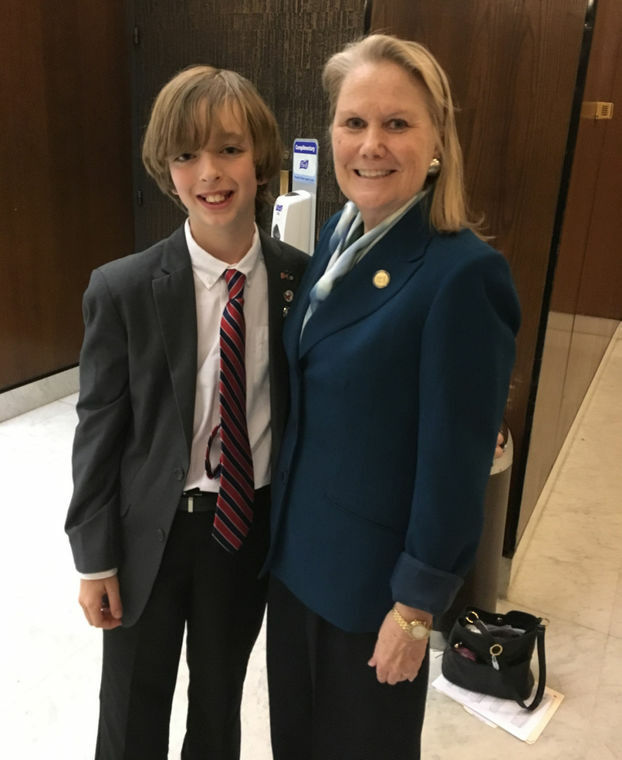 Aiden again traveled to Richmond, where he offered convincing testimony before the Senate General Laws Committee. The bill passed with near unanimous support. Little did I dream of the subsequent stir that would be generated! While on the Senate floor, a Senator offered an amendment instead proposing the timber rattlesnake as the state reptile. After heated debate and a brief lesson on snakes, my legislation passed on a vote of 33-Y 6-N. Congratulations Aiden! Don't forget to vote on Tuesday, March 1! Be sure to vote in Tuesday's presidential primary. Polls will be open from 6:00 a.m. - 7:00 p.m. Not sure where you vote? Click HERE to find the answer. Can't remember who is on the ballot? Although the pace has slowed, there are still bills under consideration in Richmond. I appreciate your feedback, and I ask that you continue making me aware of your legislative priorities. I may be reached by email at DelBPogge@house.virginia.gov or by phone at 804-698-1096. If you visit Richmond prior to March 12, please stop by my office, Room 403 in the General Assembly Building. Fwd: Restore Concealed Carry Rights!